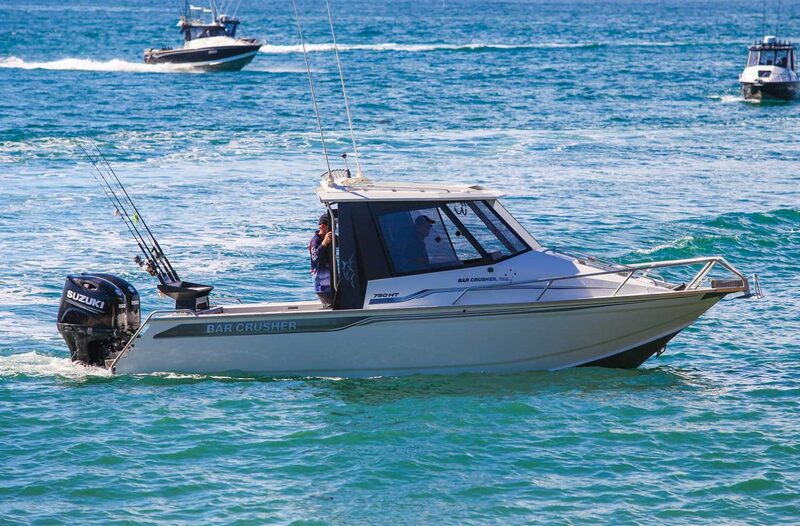 Our 780HTP (Hard Top Pilothouse) is the flagship of the Bar Crusher fleet… and the ultimate offshore Fishing Weapon! As we approach the end of the year, our 2018 demo 780HTP is ready to go now to a lucky new owner – at around $30k off new price! 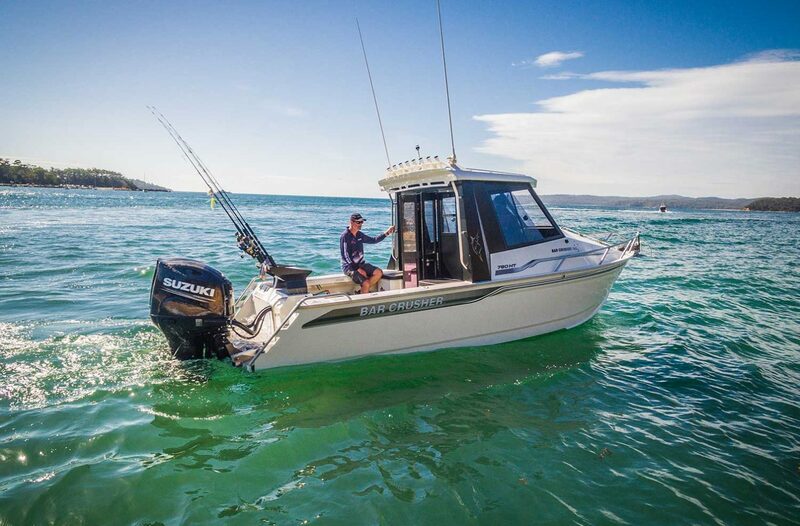 Powered by twin Suzuki DF150APX outboard engines and paired with precision digital-shift binnacle controls, the boat has 34 engine hours on the clock (serviced at 20 hours by Kris Oakley Marine). 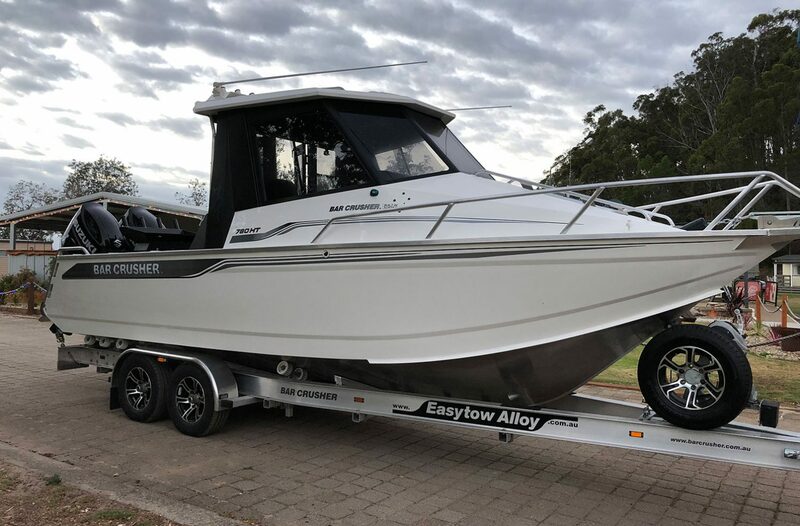 Packaged on a premium 3500kg Easytow custom alloy tandem trailer with Bar Catch launch/retrieve system (standard with all Bar Crusher boats), this 780HTP is offered for sale with full warranties from the date of purchase, including a five-year structural hull warranty and the balance of a five-year warranty on the Suzuki engines. It’s a true bluewater fishing machine for chasing billfish, tuna and other pelagic species all around the country, and is equally at home overnighting at anchor on the bay or up large coastal rivers. As is the case with all Bar Crusher boats, everything else any serious angler needs is fitted as standard. 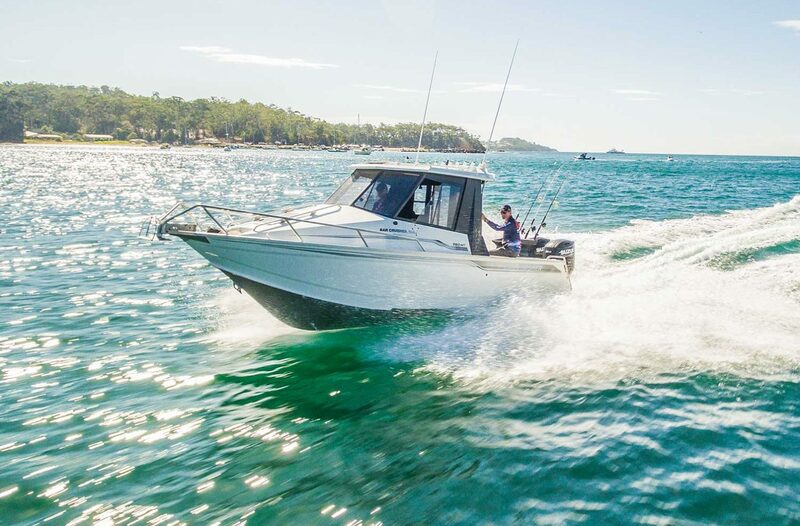 Victorian registration for vessel and trailer is included, although the boat is offered for sale nationwide. Our 2018 demo 780HTP has a replacement value of $190,000+, so it won’t last long at the listed price of $166,000. Contact us at Bar Crusher HQ for further information or to arrange a water test prior to purchase.